Susi the newest member of the Asia team and recently traveled to Beijing for the first time and share her top tips on what to see in the Chinese capital. Having never been to mainland China before I was has been somewhere I have wanted to visit for a long time. On arrival into Beijing we were met by our friendly guide, Christina, and made our way out of the airport, which incidentally is one of the most enormous airports I have ever been to – it was re-sized just before the Olympics. This was one of the first things that hit me about Beijing – the sheer size of the place. China is just such a vast country and both Beijing and Shanghai have an average population of about 20 million people. 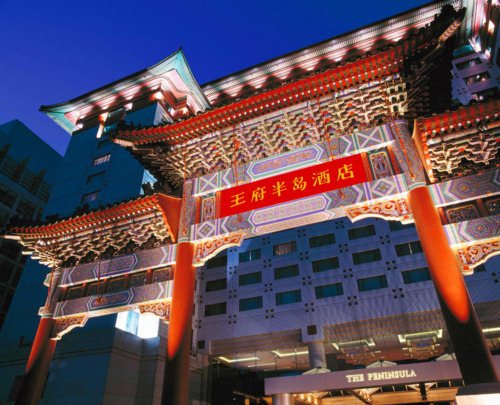 Our first night in Beijing was at the Peninsula Beijing; an excellent hotel in a great location. We were able to walk from the hotel and venture out to explore the famous food markets just a few blocks away. 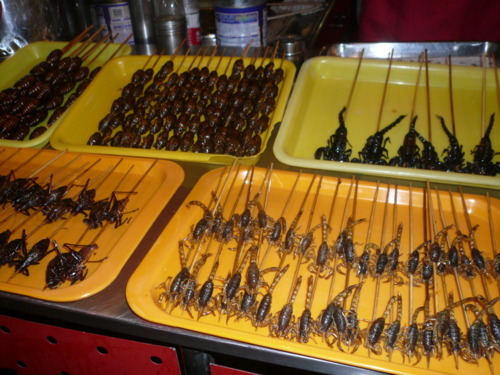 Here we found everything on offer from fried scorpion to fried seahorses. It was just fascinating to walk along, take it all in and see what might be on the menu for dinner! (Luckily we had already eaten at the fabulous Huang Ting restaurant at the Peninsula). 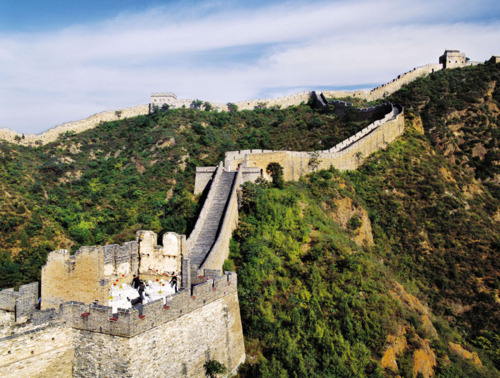 During a day of sightseeing in Beijing we managed to cover a lot of the ‘must see’ places. Here are a couple of hightlights: The Temple of Heaven was a particular favorite during our time in Beijing. 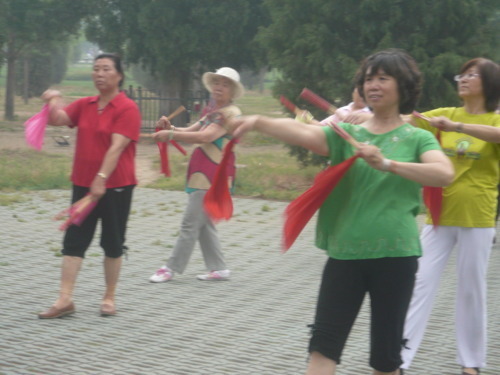 We visited at 9 in the morning and the place was packed with many locals of the older generation who visit each day to do their daily exercise and practice their ballroom dancing. There were so many different activities happening including singing, juggling, chess, cards and many others. It was a great way to soak up the atmosphere and gave you a great understanding of the culture and history. Having passed through Tiananmen Square and the Forbidden City we then made our way down to the Hutongs. The Hutongs was a really fun part of the Beijing ‘to do’ list. 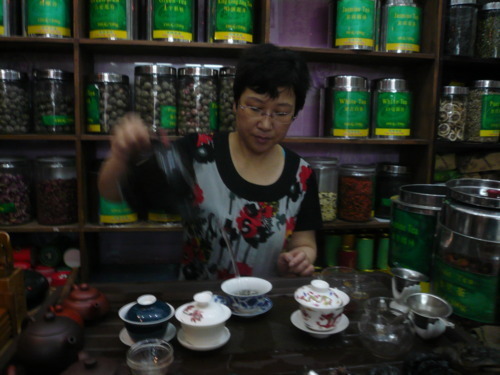 We traveled around in a rickshaw, along the river and then popped into the shops where there was a tea demonstration and the ideal opportunity to buy your any variety of tea and souvenirs. I think we both bought a fair amount here. The Great Wall of China was a real highlight. We visited the wall at Mutianyu where the beautiful stunning views completely lived up to expectations. 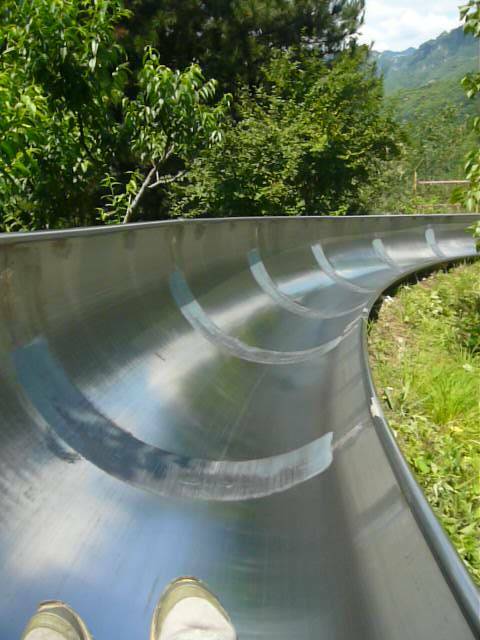 We took a chairlift up to the Great Wall and then having wandered along and explored the wall we took the toboggan down. This was a lot of fun, a great activity for a family and a definite ‘must’ when visiting the Great Wall. The only problem for us was having a slow person in front created a backlog of traffic, so we couldn’t quite get up to the speeds we wanted! 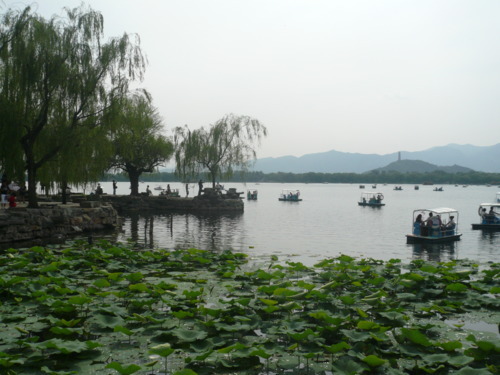 Our last stop in Beijing was the Summer Palace. 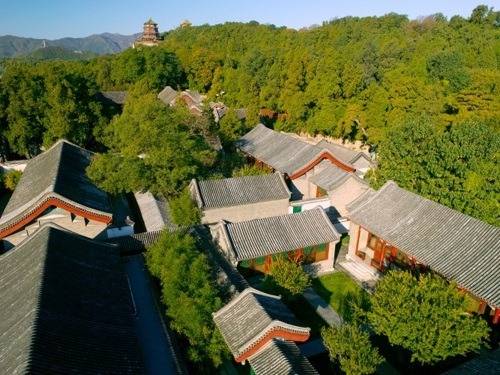 The palace is located about 45 mins outside of the city and it is the location where the Emperor and his family would go to escape the heat of Beijing in the summer. The location is beautiful with the palace right on the side of a lake. We stayed at the Aman at the Summer Palace, a beautiful Aman property that has its own secret door into the Palace grounds, we could not have asked for a better location!